James Charles BLUNDERFIELD [Parents] 1-B04FQ was born on 05 Mar 1852 in Bridgeport, Fairfield County, Connecticut, USA. He died on 21 Aug 1892 in Memphis, Tennessee, USA from a locomotive boiler explosion. He was buried 2 in City Cemetery, Poplar Bluff, Butler County, Missouri, USA. James married 1, 3 Laura V BLACK-B04FW on 22 Jun 1891 in Pulaski County, Arkansas, USA. James was recorded in a census 4 on 08 Jun 1860 at Knoxville (12th District), Knox County, Tennessee, USA. He was recorded in a census 5 on 18 Aug 1870 at Morristown Post Office, Grainger Co., Tennessee, USA. Sometime between 1870 and 1875, James Blunderfield moved from Tennessee to Texas. In 1875, James’ parents were living in Kansas. Friday, 24 July 1885, Galveston, Texas, “J.C. Blunderfield, of Montgomery, is a guest of the Washington hotel.” . This is a curious item, was there so little news that they reported hotel guests or was James' presence of some public interest? Between 1885 and 1891, James moved from Texas to Arkansas. In 1891, James was living in Little Rock, Arkansas where he married a second time. On 21 August 1892, James C. Blunderfield died in Memphis, Tennessee at the age of 37. He was an engineer on a locomotive and the boiler on that locomotive exploded, killing him instantly. Also killed in the accident was the fireman that was working with James. Accounts were written in various newspapers about James’ death. Little Rock, Aug. 25, 1892. WHEREAS, It is with heartfelt sorrow we are called upon to announce the death of Brother James C. Blunderfield, who was killed August 21st by the explosion of his engine; and whereas in the death of Brother Blunderfield we lament the loss of an energetic and faithful worker, one whose kindness and gentlemanly deportment reflected credit on this order. RESOLVED, That we tender to Mrs. Blunderfield our heartfelt sympathy in this hour of distress, assuring her that this Division has lost a member whom we all respected and esteemed, and while we know that God in His infinite mercy has received him among his children above, we also feel that it is our duty to guard and protect her and her child; and as a mark of respect for our deceased Brother, our charter be draped for thirty days, and a copy of these resolutions be presented to the wife of our late Brother. Laura V BLACK [scrapbook] 1-B04FW was born about 1864 in Texas Co., Missouri, USA. Laura married 1, 2 James Charles BLUNDERFIELD-B04FQ on 22 Jun 1891 in Pulaski County, Arkansas, USA. Charles McGuire on the 6th Apr 1899 in Little Rock, Arkansas. Minnie May BLUNDERFIELD 1-B0359 was born 2 on 13 Jun 1892 in Poplar Bluff, Butler Co., Missouri, USA. William Henry BLUNDERFIELD [Parents] [scrapbook] 1-B04FR was born on 05 Mar 1854 in Knoxville, Knox County, Tennessee, USA. He died on 11 Dec 1927 in Kansas, USA. He was buried in Prairie Mound Cemetery, Solomon, Dickinson County, Kansas, USA. William married 2 Martha Govey LEWIS-L0417 on 26 Jun 1876 in Solomon, Dickinson Co., Kansas, USA. William was recorded in a census 3 on 08 Jun 1860 at Knoxville (12th District), Knox County, Tennessee, USA. He was recorded in a census 4 on 18 Aug 1870 at Morristown Post Office, Grainger Co., Tennessee, USA. He was recorded in a census 5 on 01 Jun 1880 at Willowdale Township, Dickinson Co., Kansas, USA. He was recorded in a census 6 on 01 Mar 1895 at Willowdale, Dickinson Co., Kansas, USA. He was recorded in a census 7 on 21 Jun 1900 at Willowdale Township, Dickinson Co., Kansas, USA. He was recorded in a census 8 on 22 Apr 1910 at Buckeye Township, Dickinson Co., Kansas, USA. He was recorded in a census 9 on 19 Feb 1920 at Buckeye Township, Dickinson Co., Kansas, USA. Martha Govey LEWIS [scrapbook] 1-L0417 was born on 09 Sep 1851 in Hunsdon, Hertfordshire. She died on 15 Jun 1918 in Kansas, USA. She was buried on 17 Jun 1918 in Prairie Mound Cemetery, Solomon, Dickinson County, Kansas, USA. Martha married 1 William Henry BLUNDERFIELD-B04FR on 26 Jun 1876 in Solomon, Dickinson Co., Kansas, USA. Martha was recorded in a census 2 on 01 Jun 1880 at Willowdale Township, Dickinson Co., Kansas, USA. She was recorded in a census 3 on 01 Mar 1895 at Willowdale, Dickinson Co., Kansas, USA. She was recorded in a census 4 on 21 Jun 1900 at Willowdale Township, Dickinson Co., Kansas, USA. She was recorded in a census 5 on 22 Apr 1910 at Buckeye Township, Dickinson Co., Kansas, USA. When Martha died in June 1918, the following obituary was printed in the 'Solomon Tribune' on the 20th June. Martha Govey Lewis was born in Hunsdon, England, Sept. 9, 1851 where she lived until the age of 5 years. Thence they moved to London where she lived until 1874 when she came to New York City. She was there about 2 years, then came to Chicago remaining there but a few months. She came to Solomon, Kansas in 1877 and was united in marriage to Wm. H. Blunderfield June 26 of that year. To this union were born four children, two girls and two boys. Mrs. Wm. Jolitz, of Solomon, Emily A..of Talmage, Wm. P. of Chicago, Ill., Fred J. of Solomon. Besides her husband and children she leaves to mourn her loss four little granddaughters and one brother in England. She died Saturday, June 15, 1918 at 2:30 a.m. She became a member of the Episcopal church in early childhood and on July 31, 1894 she with her husband and two daughters, was baptized by Rev. B.F. Dice and united with the M.E. church at Willowdale. Since moving to Talmage she placed her letter in the Talmage church. She is known to her many friends and loved ones as a devoted wife, a loving mother and a consistant Christian. Funeral services were held at the Talmage M.E. church Monday, June 17 at 2:30 p.m., services conducted by Rev. F. B. Benson and the large number of friends who were present gave silent sorrowful testimony of the esteem in which she was held. The casket was covered with beautiful flowers, silent tokens of love in the grief that fills the hearts of those who knew her and loved her. We are unable to do justice in describing the beauty and devotion of her Christian life of good deeds exemplary to all her associates, and her death was a fitting close to it, dying peacefully without a murmur, secure in the love of the Saviour who had been her solace and strength during her illness -- no murmur or complaint passed her lips during all her suffering with the patience of a true Christian. The pallbearers who carried her to her last resting place were: Wm. Doidge, W.D. Fulton, Wm. Koelling, Richard Grice, Wm. J. Fenn, John Bear. She was buried in the Prairie Mound cemetery at Solomon. F i Mary Elizabeth BLUNDERFIELD-B0360 was born on 04 Jun 1877. She died on 05 Aug 1954. Emily BLUNDERFIELD-B03FC was born about Dec 1879 in Solomon, Kansas, USA. She died before Nov 1880 in Solomon, Kansas, USA. Emily was recorded in a census 1 on 01 Jun 1880 at Willowdale Township, Dickinson Co., Kansas, USA. F iii Emily Alice BLUNDERFIELD-B0361 was born on 12 Nov 1880. She died on 21 Feb 1959. M iv William Phillip BLUNDERFIELD-B0362 was born on 29 Aug 1882. He died on 28 Jul 1954 from a Heart Attack. M v Frederick J BLUNDERFIELD-B0363 was born on 29 Nov 1885. He died on 25 Nov 1966. George Francis BLUNDERFIELD [Parents] [scrapbook] 1-B04FS was born on 26 Nov 1856 in Tennessee, USA. He died on 28 Jul 1928 in Kansas, USA. He was buried in Monitor Church of the Brethren Cemetery, McPherson County, Kansas, USA. George married 1 Margaret Mae SNOWDEN-S0439 on 02 Jan 1882 in Kansas, USA. George was recorded in a census 2 on 08 Jun 1860 at Knoxville (12th District), Knox County, Tennessee, USA. He was recorded in a census 3 on 01 Mar 1875 at Croll Creek Post Office, Ottawa Township, Ottawa Co., Kansas, USA. He was recorded in a census 4 on 05 Jun 1880 at Lincoln Township, Ottawa Co., Kansas, USA. He was recorded in a census 5 on 07 Jun 1900 at Lincoln Township, Ottawa Co., Kansas, USA. He was recorded in a census 6 on 15 Apr 1910 at Lincoln Township, Ottawa Co., Kansas, USA. He was recorded in a census 7 on 15/16 Jan 1920 at McPherson City, McPherson Co., Kansas, USA. When the 1870 census was taken, George’s parents and family were living in Morristown, Tennessee. George, who would be about 14 years old, was not listed in the household, perhaps he was living with another family, maybe working as a farm hand. By the time of the 1920 census, George and his children were using the modified surname of Blondefield. The change was probably made between 1910 and 1912, as his son Thomas Nelson, the racing driver, used the name Blonderfield in the 1910 census and when he took part in the 1913 Independence day races in Winfield, he was using Blondefield. Margaret Mae SNOWDEN [scrapbook] 1-S0439 was born on 09 Mar 1863 in Pennsylvania, USA. She died 2 in Apr 1944 in Kansas, USA. She was buried in Monitor Church of the Brethren, McPherson, McPherson Co., Kansas, USA. Margaret married 3 George Francis BLUNDERFIELD-B04FS on 02 Jan 1882 in Kansas, USA. Margaret was recorded in a census 4 on 07 Jun 1900 at Lincoln Township, Ottawa Co., Kansas, USA. She was recorded in a census 5 on 15 Apr 1910 at Lincoln Township, Ottawa Co., Kansas, USA. She was recorded in a census 6 on 15/16 Jan 1920 at McPherson City, McPherson Co., Kansas, USA. She was recorded in a census on 02 May 1940 at 514 N Eby Street, McPherson City, McPherson Co., Kansas, USA. At the time of the 1940 census, Margaret is using the surname BLONDEFIELD which her husband and family had begun to use in the 1920's. F i Grace Pearl BLUNDERFIELD-B0365 was born in Mar 1883. She died in 1946. M ii Thomas Nelson BLUNDERFIELD-B0366 was born on 03 Apr 1886. He died on 27 Feb 1964. Leola M BLUNDERFIELD 1-B0367 was born in Nov 1893 in Kansas, USA. Leola was recorded in a census 2 on 07 Jun 1900 at Lincoln Township, Ottawa Co., Kansas, USA. She was recorded in a census 3 on 15 Apr 1910 at Lincoln Township, Ottawa Co., Kansas, USA. She was recorded in a census 4 on 15/16 Jan 1920 at McPherson City, McPherson Co., Kansas, USA. She was recorded in a census 5 on 15 Apr 1930 at Casper, Natrona Co., Wyoming, USA. She was recorded in a census on 08 Apr 1940 at 412, S Grant, Casper, Natrona Co., Wyoming, USA. M iv George Lester BLUNDERFIELD-B0368 was born on 14 Sep 1895. He died in Oct 1973. Alfred Thomas BLUNDERFIELD [Parents] [scrapbook] 1-B04FU was born on 28 May 1865 in Knox County, Tennessee, USA. He died 2 on 16 Dec 1938 in Norman, Cleveland County, Oklahoma, USA. He was buried on 16 Dec 1938 in Oklahoma City, Oklahoma County, Oklahoma, USA. 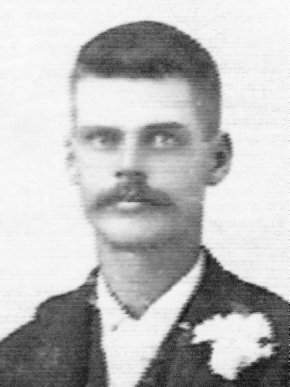 Alfred married 1, 3 Emma JENKINS-J0441 on 04 Aug 1897 in Carrollton, Carroll County, Missouri, USA. Alfred was recorded in a census 4 on 18 Aug 1870 at Morristown Post Office, Grainger Co., Tennessee, USA. He was recorded in a census 5 on 01 Mar 1875 at Croll Creek Post Office, Ottawa Township, Ottawa Co., Kansas, USA. He was recorded in a census 6 on 05 Jun 1880 at Lincoln Township, Ottawa Co., Kansas, USA. He was recorded in a census 7 on 19 Apr 1910 at S. Campbell St., Campbell, Greene County, Missouri, USA. He was recorded in a census 8 on 21 Jan 1920 at Benton Township, Douglas County, Missouri, USA. He was recorded in a census 9 on 03 Apr 1930 at Oklahoma City, Oklahoma, USA. In 1905, Alfred Thomas Blunderfield was a painter listed in the Springfield, Missouri City Directory. Emma JENKINS 1-J0441 was born on 22 Jul 1877 in at or near Carrolton, Carroll County, Missouri, USA. She died on 18 Oct 1907 in Nevada, Vernon County, Missouri, USA. She was buried on 20 Oct 1907 in Maple Park Cemetery, Springfield, Greene County, Missouri, USA. Emma married 2, 3 Alfred Thomas BLUNDERFIELD-B04FU on 04 Aug 1897 in Carrollton, Carroll County, Missouri, USA. Emma was recorded in a census 4 on 06 Jun 1900 at Dwelling #464/150/167, Harrison Street, Campbell Township, Springfield City, Greene County, Missouri. Emma was the daughter of Robert Atchison Jenkins and Rebecca Jane Loney. F i Lena May BLUNDERFIELD-B0369 was born on 07 Aug 1899. She died on 25 May 1988. F ii Bessie BLUNDERFIELD-B0370 was born on 15 Feb 1903. She died on 02 Aug 1986. M iii Leo Theodore BLUNDERFIELD-B0371 was born on 08 Nov 1904. He died in 1960. Bertha Elizabeth BLUNDERFIELD 1-B0372 was born on 31 May 1906 in Springfield, Greene County, Missouri, USA. She died on 14 Jul 1922 in in hospital, Oklahoma City, Oklahoma, USA. She was buried 2 on 15 Jul 1922 in Fairlawn Cemetery, Oklahoma City, Oklahoma, USA. Bertha was recorded in a census 3 on 19 Apr 1910 at S. Campbell St., Campbell, Greene County, Missouri, USA. She was recorded in a census 4 on 21 Jan 1920 at Benton Township, Douglas County, Missouri, USA. Alfred Thomas BLUNDERFIELD [Parents] [scrapbook] 1-B04FU was born on 28 May 1865 in Knox County, Tennessee, USA. He died 2 on 16 Dec 1938 in Norman, Cleveland County, Oklahoma, USA. He was buried on 16 Dec 1938 in Oklahoma City, Oklahoma County, Oklahoma, USA. Alfred married 1 Emma FLORA-F0406 about 1907. Alfred was recorded in a census 3 on 18 Aug 1870 at Morristown Post Office, Grainger Co., Tennessee, USA. He was recorded in a census 4 on 01 Mar 1875 at Croll Creek Post Office, Ottawa Township, Ottawa Co., Kansas, USA. He was recorded in a census 5 on 05 Jun 1880 at Lincoln Township, Ottawa Co., Kansas, USA. He was recorded in a census 6 on 19 Apr 1910 at S. Campbell St., Campbell, Greene County, Missouri, USA. He was recorded in a census 7 on 21 Jan 1920 at Benton Township, Douglas County, Missouri, USA. He was recorded in a census 8 on 03 Apr 1930 at Oklahoma City, Oklahoma, USA. Emma FLORA 1-F0406 was born on 26 Oct 1876 in Indiana, USA. She died on 15 Jul 1941 in Oklahoma City, Oklalhoma, USA. She was buried on 17 Jul 1941 in Fairlawn Cemetery, Oklahoma City, Oklahoma. Emma married 1 Alfred Thomas BLUNDERFIELD-B04FU about 1907. Emma was recorded in a census 2 on 19 Apr 1910 at S. Campbell St., Campbell, Greene County, Missouri, USA. She was recorded in a census 3 on 21 Jan 1920 at Benton Township, Douglas County, Missouri, USA. She was recorded in a census 4 on 03 Apr 1930 at Oklahoma City, Oklahoma, USA. She was recorded in a census on 10 Apr 1940 at 1624, NW First Street, Oklahoma City, Ollahoma, USA. Goldie May BLUNDERFIELD 1-B0373 was born about Feb 1910 in Missouri, USA. She died on 05 Jul 1922 in Oklahoma City, Oklahoma, USA. She was buried 2 on 07 Jul 1922 in Fairlawn Cemetery, Oklahoma City, Oklahoma. Goldie was recorded in a census 3 on 19 Apr 1910 at S. Campbell St., Campbell, Greene County, Missouri, USA. She was recorded in a census 4 on 21 Jan 1920 at Benton Township, Douglas County, Missouri, USA. F ii Diamond 'Patsy' BLUNDERFIELD-B0374 was born on 22 Aug 1911. She died on 05 Jan 1980. Simon Peter GATSCHET [scrapbook] 1-G0413 was born on 19 May 1867 in Ohio, USA. 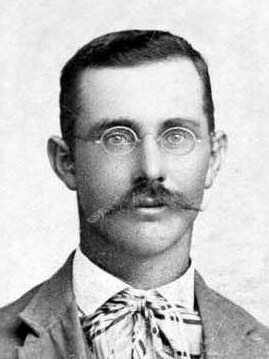 He died in 1939 in Solomon, Dickinson Co., Kansas, USA. He was buried in Mt. Calvary (Catholic) Cemetery, Solomon, Dickinson Co., Kansas, USA. Simon married 1 Mary Ann Susanna BLUNDERFIELD-B04FV in 1894 in Solomon, Dickinson Co., Kansas, USA. Simon was recorded in a census 2 on 19 Jun 1900 at Dayton Township, Saline Co., Kansas, USA. He was recorded in a census 3 on 01 Mar 1905 at Dayton Township, Saline Co., Kansas, USA. He was recorded in a census 4 on 07 May 1910 at Dayton Township, Saline Co., Kansas, USA. He was recorded in a census 5 in 1915 at Dayton Township, Saline Co., Kansas, USA. He was recorded in a census 6 on 12 Jan 1920 at Dayton Township, Saline Co., Kansas, USA. He was recorded in a census 7 in 1925 at Dayton Township, Saline Co., Kansas, USA. He was recorded in a census 8 on 05 Apr 1930 at Dayton Township, Saline Co., Kansas, USA. Mary Ann Susanna BLUNDERFIELD [Parents] [scrapbook] 1-B04FV was born on 24 Aug 1868 in Tennessee, USA. She died 2 on 09 Jan 1933 in Solomon, Dickinson Co., Kansas, USA. She was buried in Mt. Calvary (Catholic) Cemetery, Solomon, Dickinson Co., Kansas, USA. Mary married 1 Simon Peter GATSCHET-G0413 in 1894 in Solomon, Dickinson Co., Kansas, USA. Mary was recorded in a census 3 on 18 Aug 1870 at Morristown Post Office, Grainger Co., Tennessee, USA. She was recorded in a census 4 on 01 Mar 1875 at Croll Creek Post Office, Ottawa Township, Ottawa Co., Kansas, USA. She was recorded in a census 5 on 05 Jun 1880 at Lincoln Township, Ottawa Co., Kansas, USA. She was recorded in a census 6 on 19 Jun 1900 at Dayton Township, Saline Co., Kansas, USA. She was recorded in a census 7 on 01 Mar 1905 at Dayton Township, Saline Co., Kansas, USA. She was recorded in a census 8 on 07 May 1910 at Dayton Township, Saline Co., Kansas, USA. She was recorded in a census 9 in 1915 at Dayton Township, Saline Co., Kansas, USA. She was recorded in a census 10 on 12 Jan 1920 at Dayton Township, Saline Co., Kansas, USA. She was recorded in a census 11 in 1925 at Dayton Township, Saline Co., Kansas, USA. She was recorded in a census 12 on 05 Apr 1930 at Dayton Township, Saline Co., Kansas, USA. M i Frederick Edward GATSCHET-G0304 was born on 19 Jul 1895. He died in Aug 1980. M ii Charles William GATSCHET-G0305 was born on 04 Dec 1896. He died on 16 Apr 1945. M iii George William GATSCHET-G0306 was born on 26 Mar 1898. He died on 16 Dec 1993. Rata Evangeline Dorothy URRY [Parents]-U0104. M i Charles Henry STRONG-S0009.